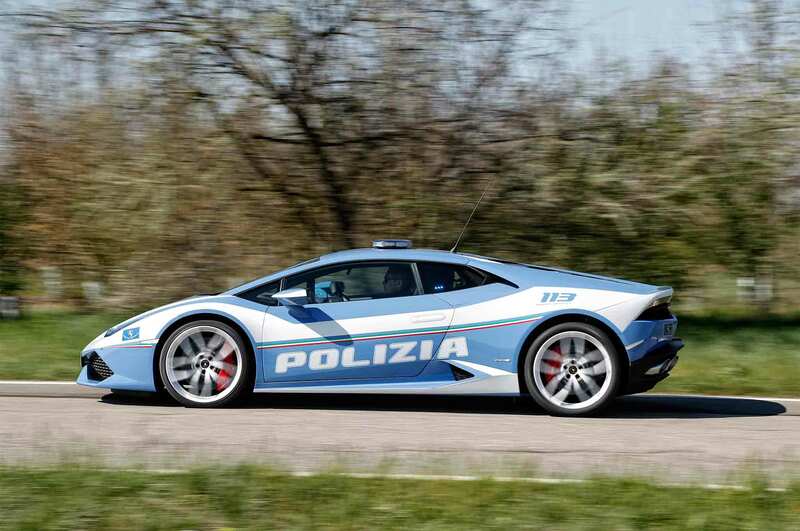 The new Lambo will replace the Gallardo once used by the Polizia. Dubai Police aren't the only ones who get cool cars for work. 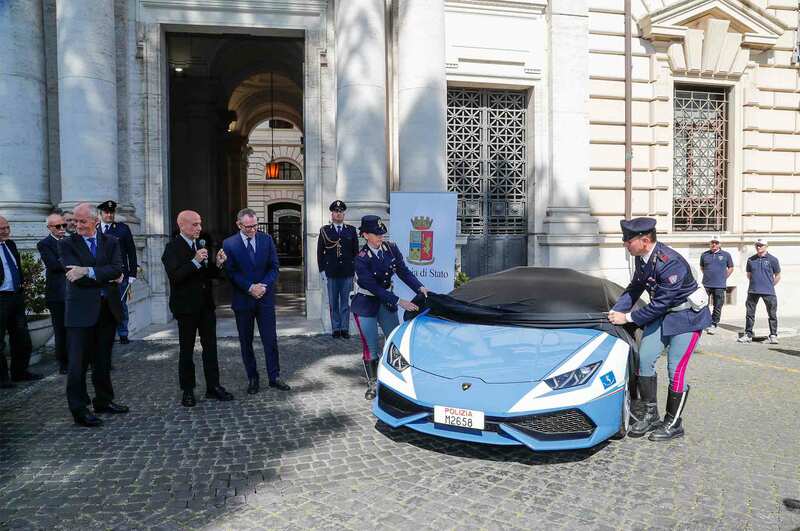 The Italian Highway Patrol recently debuted the newest edition to their fleet: a Lamborghini Huracan LP 610-4, one that is certain to outrun most of the cars on the streets of Bologna, where the company is headquartered. It was delivered personally by Lamborghini CEO Stefano Domenicali, who had the car built specially for the polizia much in the same fashion as the Lambo Gallardo it replaces. Painted in the official light blue color of the Italian Highway Patrol, the new Huracan is undoubtedly one of the coolest police cars on the road, anywhere in the world. This may be the most versatile application of a Lamborghini yet. It's been fitted with all of the police equipment you'd expect, including gun holsters, police radio, laptop, and more. Ironically enough, it still doesn't feature a back seat, so if you get caught in a high speed chase near Bologna, you'll be riding shotgun back to the police station—but what a last ride, huh? When not on traffic duty, the Huracan will double as an emergency medical vehicle to rush those with injuries to the hospital in a snap while also carrying blood to and from the field, if needed. The frunk is equipped with a refrigeration unit for emergency needs as well. All of that comes with the standard Huracan powertrain. Official testing shows that the car can run from 0-60 MPH in just 2.8 seconds while hitting a top speed of over 202 miles per hour. That should take care of all the baddies in the neighborhood without a hitch. "The new Lamborghini Huracán stands for Italian super sports car excellence and we are proud to provide it to the Italian State Police," Winklemann said in a statement. This car joins another Huracan that has been used by the Italian police since 2015. It shouldn't be a surprise to see that a V-10-powered BMW M3 behaves like a rocket ship. Was Conor McGregor's Lamborghini Huracan Avio Towed in Dublin? The famous MMA fighter may fancy himself an automotive enthusiast, but he doesn't appear to be too careful. Pearlescent paint, blue accents, and an Italian flag livery give this Centenario some Parisian panache. Have you ever seen an Aventador S slide like this? Lamborghini on 'Ring Time Controversy: Why Would We Cheat? Spokesman says Huracan Performante debate just "one blogger's business model [of] paying for clicks."